We hear it all the time. "You need to relax", "you need to slow down", "you need to take a break". If you are like most other people, you are in a constant struggle to find balance. To find enough time during the day to complete your tasks and chores so that you feel accomplished while trying to maintain a social life and your happiness. But why is it so hard? Why do we struggle so much to find this balance, to find the time to simply relax, and to recharge? One of the biggest reasons for our inability to truly relax is that today's society is filled with stimulation. We have never been as stimulated as we are now. Our sensory system takes a beating every single day. We are accosted by the noises and smells of living in large cities. We constantly have screens around us; right now as I am typing this blog I have my laptop open, my smartphone next to me, and my tablet. It feels like no matter where you turn you are being overstimulated, causing stress and wear on your mind and body. The time of 24 hour news, social media, and texting has made it so that we can never fully shut down. This leads to an increased risk of all types of health problems including heart disease, memory loss, colds / flu, depression, anxiety, and making poor decisions for ourselves. How often have you been so busy or stressed that you forgot to eat a meal, or to eat the right meal? How often have you been so overwhelmed with work that you forgot to make time for family and friends? And lately, how often have you been so emotionally overwhelmed by the news that you just wanted to avoid life all together. It happens to all of us. We go through these ups and downs throughout life that require us to constantly re-assess our wants and needs. We try to do things like take vacations, go to the spa, get a massage, or drink alcohol to disconnect and have fun but their effects don't last long. That is because we are trying to find ways to escape from our realty instead of finding ways to thrive in our reality. We are taught that by engaging in self-care strategies that involve trying to escape our lives, we will feel better. But that's not the right answer. At least not long term. The right answer is to work to find a way to create the kind of life that you don't want to escape from. And the first step towards creating that life is learning how to relax your body so that your mind can take the break it requires and so that you can actually start to have coherent thoughts about the future rather than feeling like you are simply trying to survive your life. 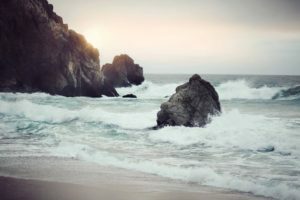 We will spent this month diving into some of the most popular relaxation techniques used by therapists with their clients to provide them the relief they need in order to start thinking about what they truly want out of their lives and how they can start taking steps towards that life. We regularly use relaxation in our work with clients and continue to accept new clients from Illinois (Chicago), California (Los Angeles, San Diego, Orange County, Santa Barbara, San Francisco, Sacramento), and outside of the USA (Canada, Australia, New Zealand, England, Ireland, Scotland, Wales, United Kingdom, Germany, France, Spain, Mexico).